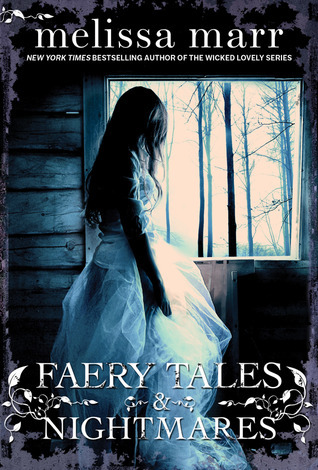 Love, despair, and betrayal ignite the Faery Courts, and in the final conflict, some will win . . . and some will lose "everything." The thrilling conclusion to Melissa Marr's "New York Times" bestselling Wicked Lovely series will leave readers breathless. 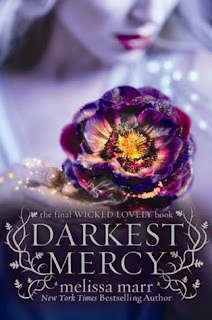 My Review: I was so anxious to get to this book because I knew all the stories would be told at once and we would get to hear from everyone; like Donia, whom we haven't seen since Fragile Eternity. At this point in the story, everything is a mess! War is threatening all the courts, Keenan is missing, things are looking pretty bad - to say the least. And Niall? All I can say about Niall is, "Niall, Niall, Niall." SMH. If I said more than that I'd spoil it for you. Okay, maaybe I shouldn't have jumped on the "Team Seth" band wagon so quickly because I am completely on Keenan's side. The last couple of books I began to feel the pull toward the other side but this one really did me in! Maybe I connect with Keenan or feel for him more because I a Summer baby and I love everything Summer - or perhaps that's me just trying to justify me switching teams. And it's not that I like Seth any less but I do agree he gets in the way of the court. Even though I give this book a high rating, it did not have the ending I would have preferred. I knew by book 2 or 3 that it wasn't going to but I guess for many others it ended perfectly. the mortals that get involved with these faeries become so inducted into that world that it's as if they were never mortals. For example, Donia and Aislinn. They didn't just become faeries and then sent on their merry way to go frolic in the fields or have snowball fights. No, they were made into faeries that held important positions - Winter Girl and Summer Queen. There are more examples but I won't ruin the surprise! Overall: I laughed, I cringed, I was shocked and I cried. Literally. I absolutely adore this series! Plus, I cannot wait to read Melissa Marr's Faery Tales & Nightmares!